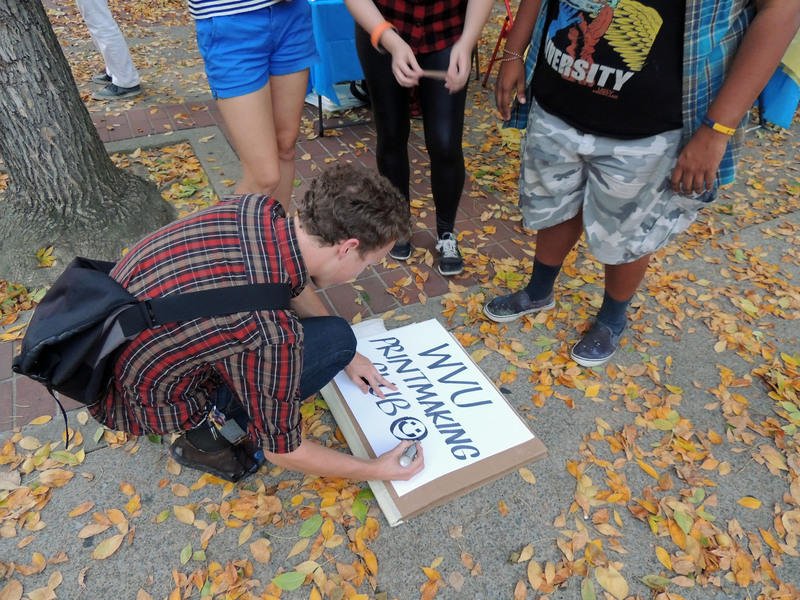 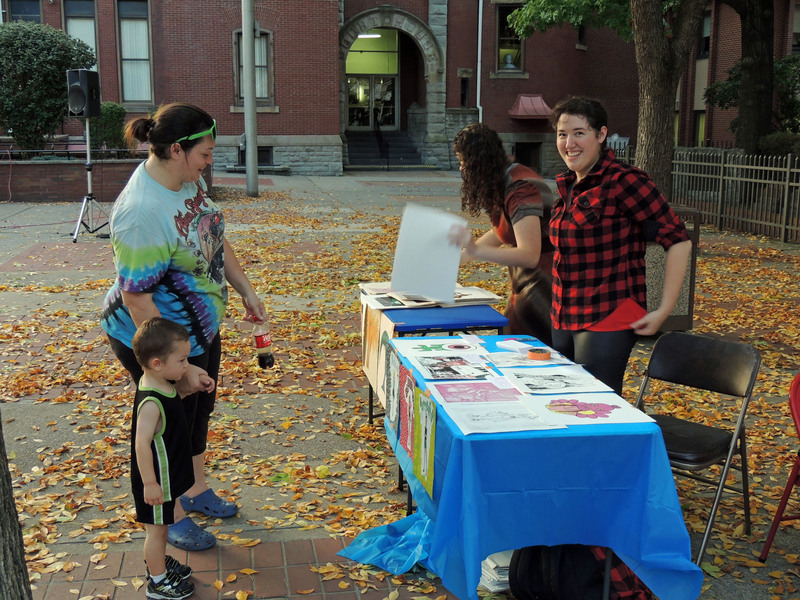 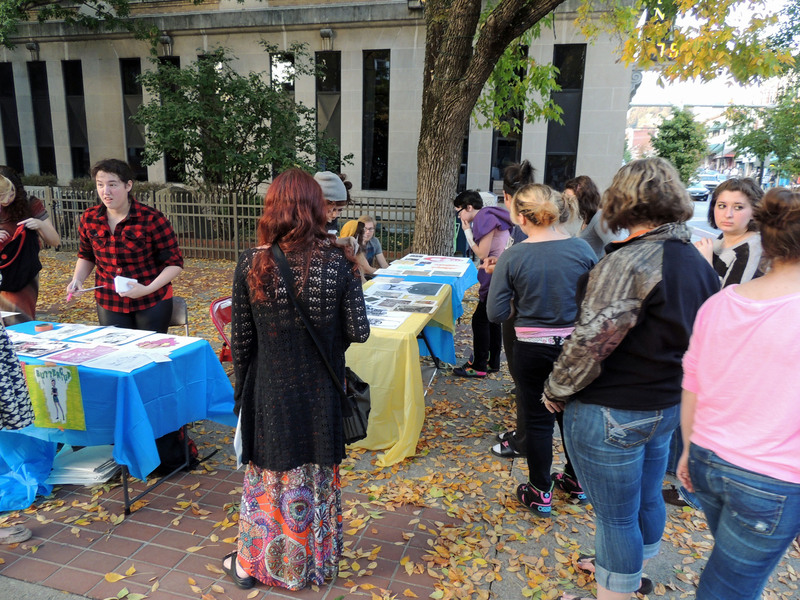 This Friday, the newly formed WVU Print Club participated in the annual Morgantown Arts Walk. 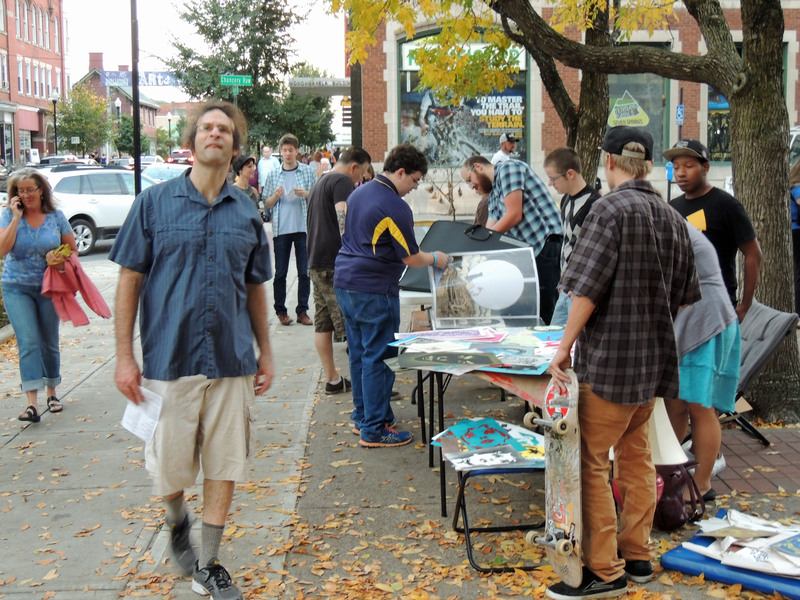 Below are some pics of the event. 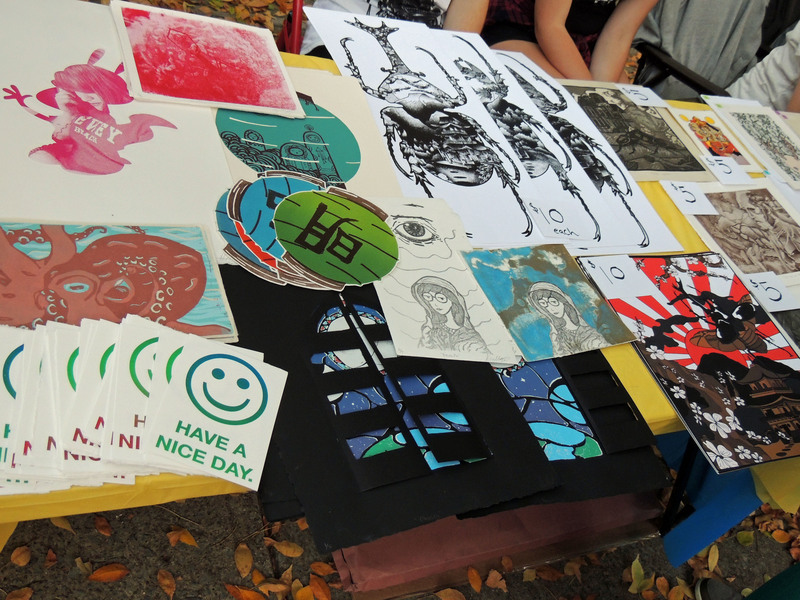 There were plenty of prints for sale, as usual $25 and less. 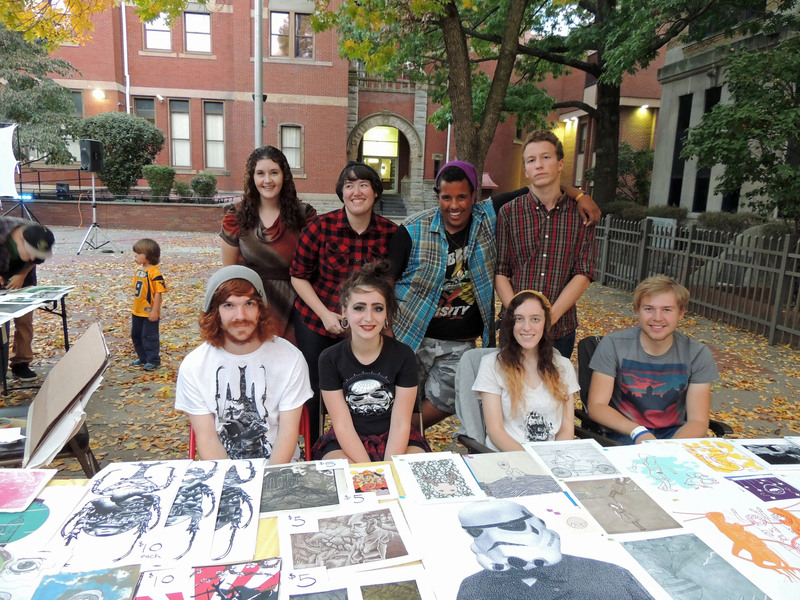 WVU printmakers are hoping to raise some funds this year to attend the 2014 SGC International Print Conference in San Francisco. 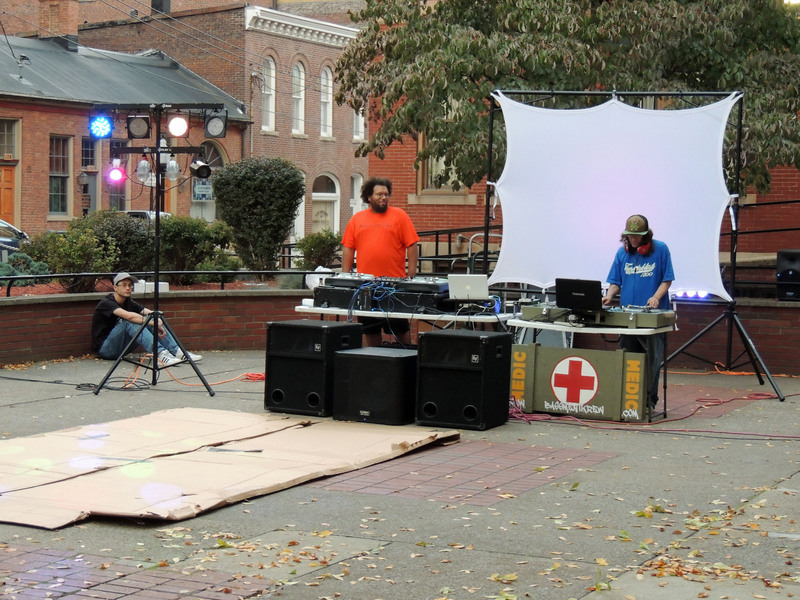 And then there were these two…old school DJ complete with a cardboard breakdancing floor…classic.